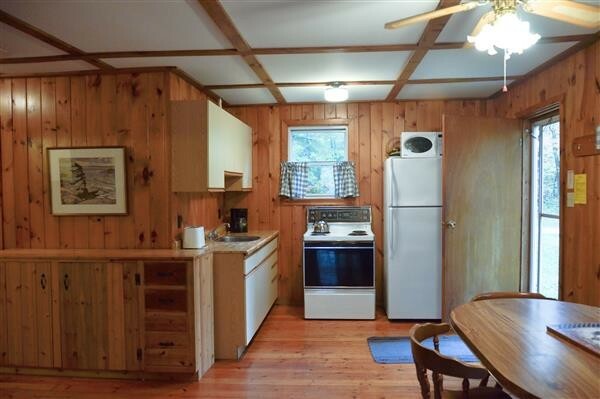 This beautiful cottage is spacious and surrounded by our mixed pine and hardwood forest. With its higher vantage point it offers a great view of the lake. 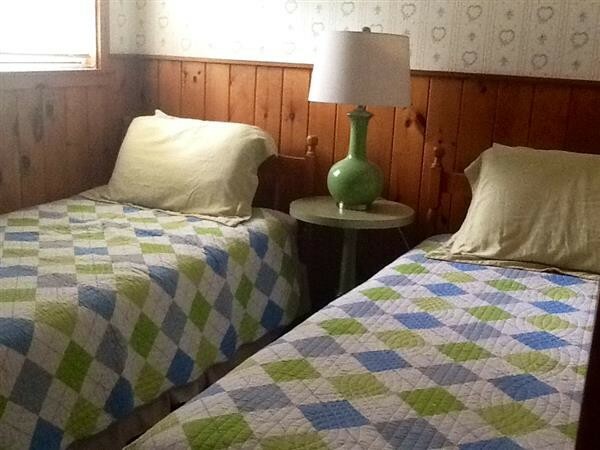 This is one of our largest two bedroom family cottages. 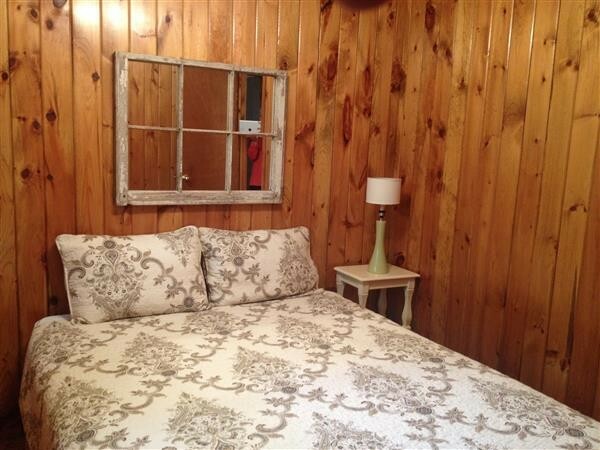 Hilltop features a queen size bed in bedroom no. 1 and two singles in bedroom no. 2. 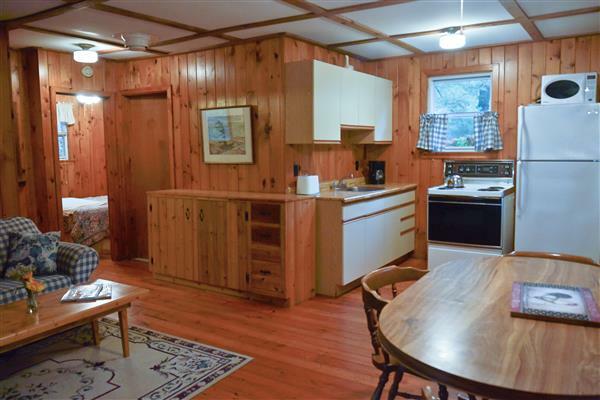 It also has a comfortable pull-out double sofa in the living room and a four-piece bathroom with tub. 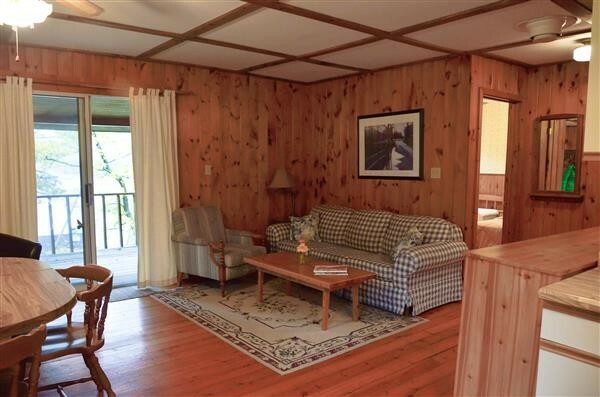 The sliding patio doors, off the living room and kitchen area, open onto a covered deck overlooking Lake Kasshabog. 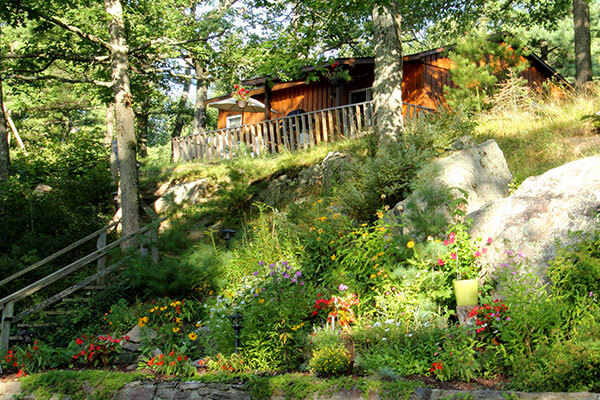 A private fire pit for evening campfires rounds out this charming Kawartha cottage.